AutoPay programs using Credit Card and ACH Recurring Payment Solutions are statistically proven to improve customer retention. The insurance industry was the first to leverage the power of automated recurring payments to both grow cash flow and improve retention rates. When a person doesn’t have to think about writing a check or handing over a credit card each month they are much less likely to think “Do I want to keep paying for this”? Reliable cash flow and better retention are two major benefits of having customers on AutoPay. Add significant time and money savings to the list-$5-8 per person savings for those on Autopay [SBA/Gartner study estimates]. So take the # of your clients and for those not on AutoPay multiply by about $80 [for monthly payments]. That provides yearly savings estimates per client/donor. Want yet another reason? How about a more valuable company? At some point you may sell your company. Businesses with recurring revenue tend to sell at multiples of that monthly revenue. The business with the majority of their clients on an automated payment plan can potentially sell for a 25% higher multiple. 2-An ACH and Credit Card Virtual Terminal that is built specifically to manage payments. Secure Payment Processing —credit card tokenization to ensure data integrity. Intuitive Interface — makes payment processing and reporting simple. Virtual Terminal Gateway — You can connect the Virtual Terminal to multiple back end credit card processors. ACH Website Payment Tools — Quickly create a secure hosted payment page with custom fields and the ability to take one-time or recurring payments. Comprehensive and Useful Reporting — Ability to export reporting into multiple formats. Create templates for your specific needs. 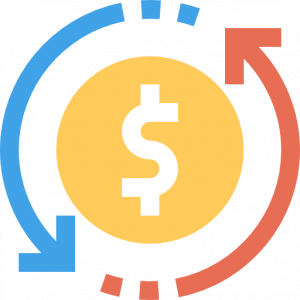 Recurring Engine — Set up recurring payments with ability to use backup payment method. Revenue reporting based on future recurring transactions. Credit card expiration reports. Email Receipts — Offer customized messaging for your customers. Automated messages are an excellent opportunity for cross-selling/upselling customers. Simple Payment Scheduling — Accept one-time payments for the present/ future date, and use multiple scheduling options for recurring payments.